Movies that watch audiences all seem a bit too Orwellian for us. Hold on to your popcorn buckets, it looks like going to the movies could be taking a turn for the dystopian. That's because the team at Disney Research has been working on a neural network designed to study audiences as they watch a movie. 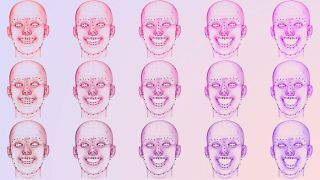 Capable of tracking and responding to facial reactions like smiles and laughter, this powerful tool is intended to analyse whether or not a film is working as intended. In fact, the network has already been used across 150 screenings of recent Disney releases such as The Jungle Book and Star Wars: The Force Awakens. Test audiences have of course been a longstanding part of the filmmaking process to help refine story details before mass release. But we feel uneasy about the the uncanny telescreen (the omnipresent TV/security cameras in Orwell's 1984) nature of this network. Just who is the audience in this scenario? On top of reading the faces of the audience and generating millions of points of data, this network can also predict how people are going to react once it's monitored them for just a few minutes. It remains to be seen if this tool will be used on general audiences, but Disney isn't the only one taking a look at the big data audiences can provide. Other companies such as Snapchat have been monitoring performances to shape the way they produce content. And we dread to think how this could be picked up by Google Glass-style devices, should they ever take off.